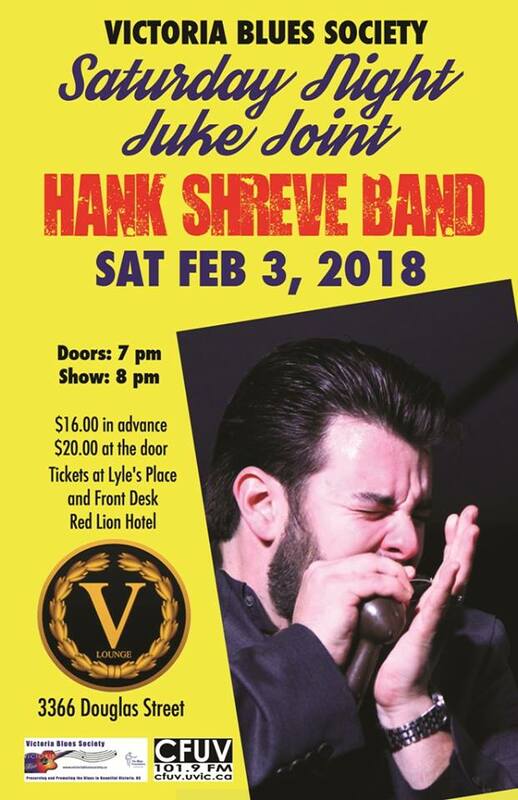 The Victoria Blues Society presents a "Saturday Night Juke Joint" with the Hank Shreve Band at the Red Lion Hotel's "V" Lounge on February 3. Supported by the Royal City Music Project. 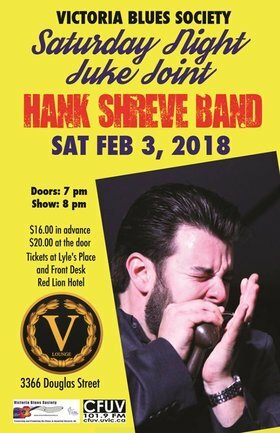 Learn more about Hank Shreve at his website, https://www.hankshreveband.com .